Temptress of Down was suffering with damp in the rudder when we bought her in 2000, back then the rudder was drilled, drained and dried under a vacuum before she was relaunched for us, here new owners. Since then an accidental encounter with a quayside and the actual design (the very top of the rudder where the stock passes through can become submerged at sea) have not exactly helped matters. Apart from the poor aesthetics of a lumpy, bumpy rudder, by 2012 there was little surface over which water could flow unimpeded, not good for efficiency and goodness knows what condition the inner steel work was in. As we are planning an Atlantic crossing in the next year or so, prudence prompted us to replace it for peace of mind if nothing else. 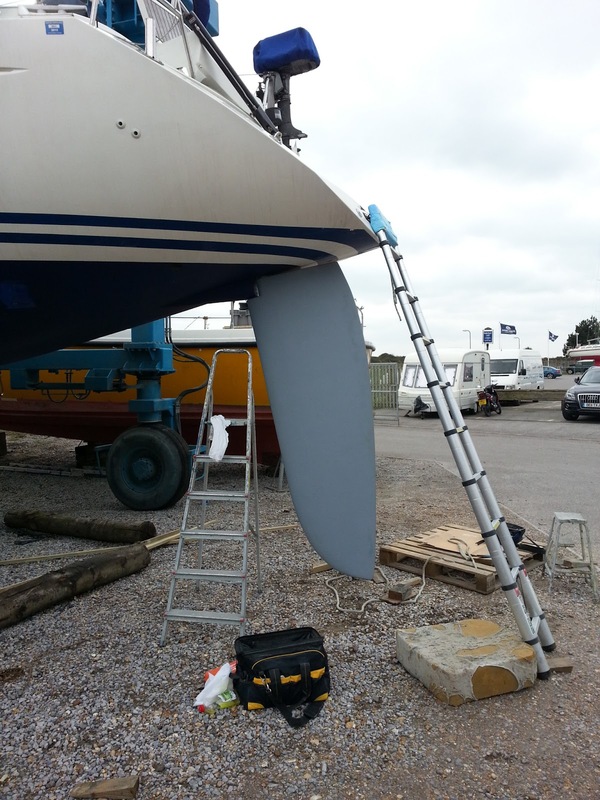 We were keen though to keep the old rudder in store in the UK as a serviceable spare in case anything should happen to its replacement. Initially our boat builder contacted Jeanneau via a UK agent but despite us supplying as many details as we could including the hull number to identify our particular boat the rudder shipped did not match the one on the boat. 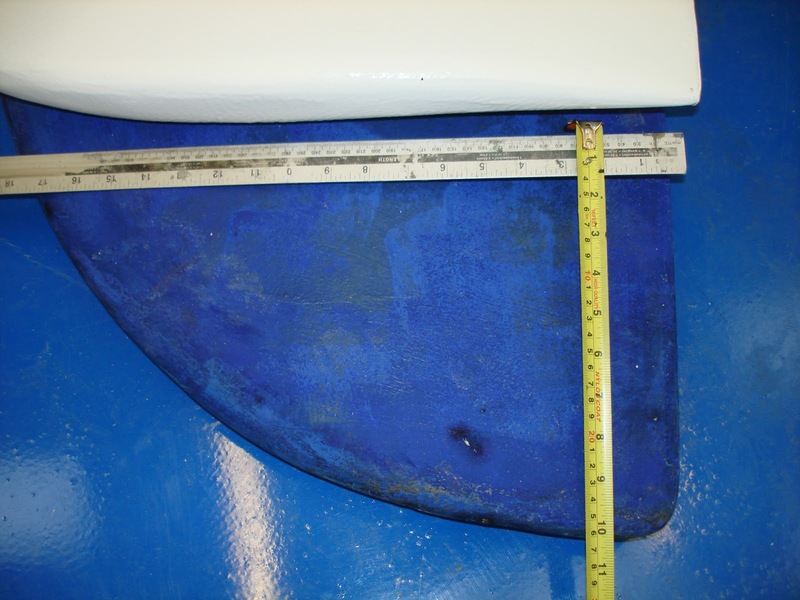 The existing rudder has elegant curves, the replacement was more utilitarian in shape and somewhat shorter. At first we were tempted to simply fit the new one but coincidentally at that point the boat was being surveyed for insurance purposes. The surveyor unasked, proffered the opinion that the new rudder would dramatically alter the handling of our SO47. With the old rudder she was perfectly balanced on a beat, almost steering herself with little intervention from the helm and once the sails were set, there was little weather helm. Both characteristics we were keen not to lose. The boat builder went off to do some research and found a local south coast UK company that would create both a mould and the appropriate drawings from our old rudder. Having first made a mould, by carefully prising the rudder apart they could create drawings of the original steelwork as the basis to build new steelwork prior to building the replacement rudder itself using the moulds. Despite some terrible winter weather which delayed the actual shipment, in early January the new rudder was delivered, perfectly matching the old one. 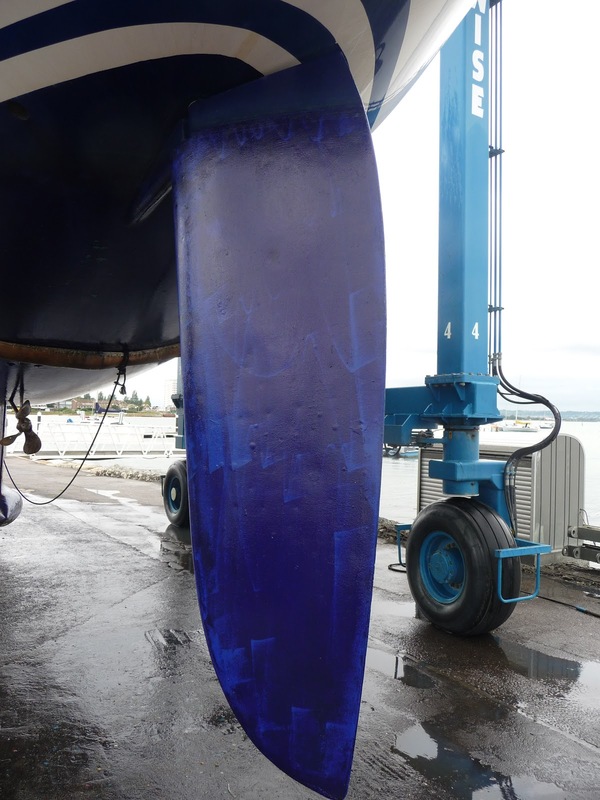 There was then some debate about whether or not to replace the rudder bearings too but as these were fairly new, having been replaced four years ago it was decided that this wasn’t necessary. 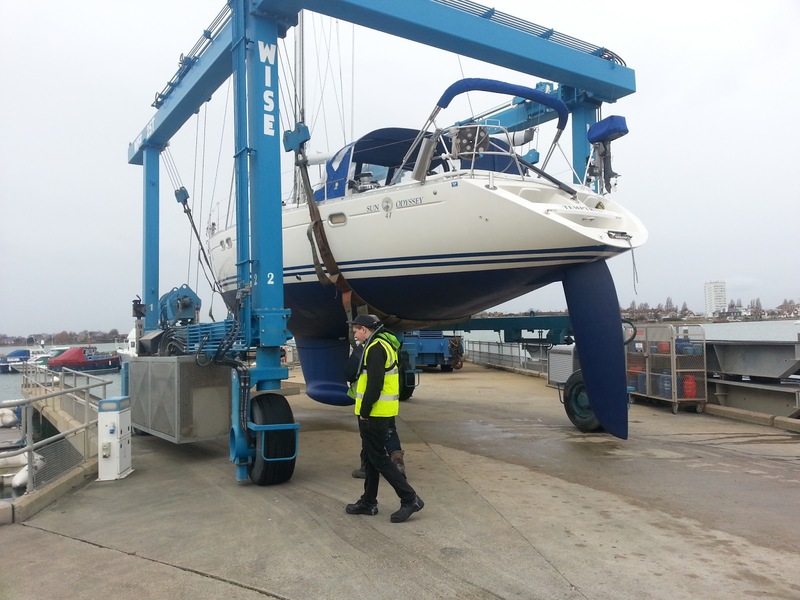 The boat has now been launched with her new rudder and her crew are waiting an improvement in the weather to de-winterise the engine and go for a trial sail. As for a spare rudder – Temptress is now the proud owner of a set of moulds and the drawings for steelwork for a replacement rudder. We also now know that it would not take long to build and ship to wherever we happen to be. If any other SO47 owners want to replace their rudder please contact us as we can put you in touch with JWS, our boat builder who would be more than happy to assist. We are led to believe that this rudder is also the same as the rudders on several other Philippe Briand Jeanneau designs from 46 to 50 feet. Very nice blog post i am defiantly bookmarking this post.